Use conventional patchwork techniques to make these adorable dogs and their stylish sweaters. 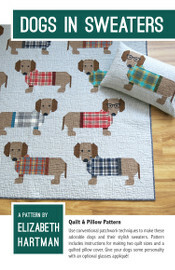 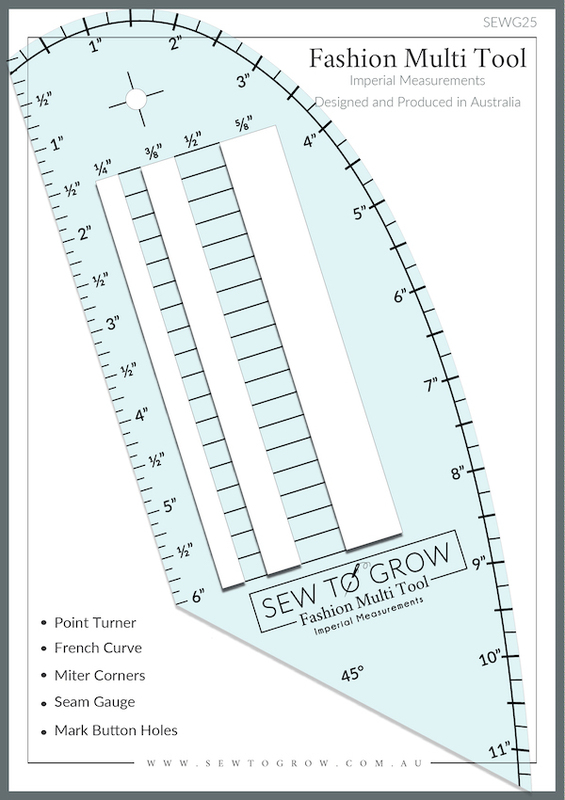 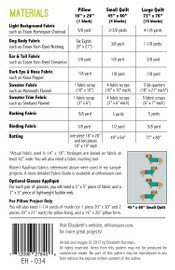 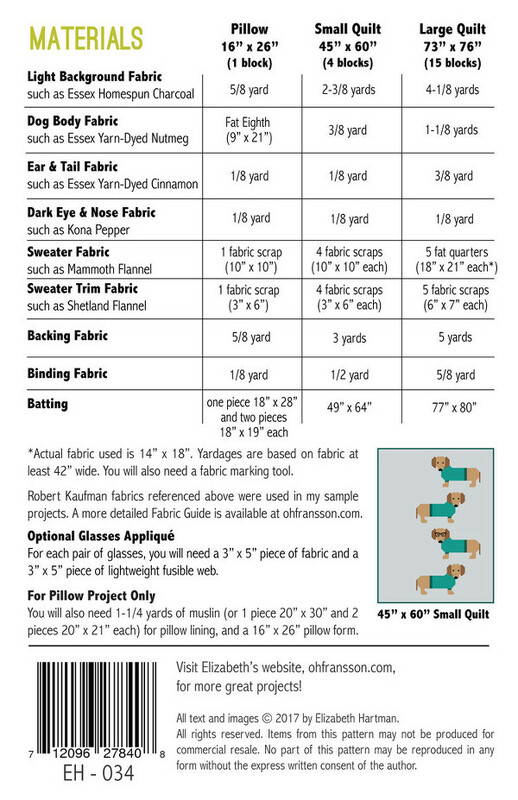 Pattern includes instructions for making two quilt sizes and a quilted pillow cover. 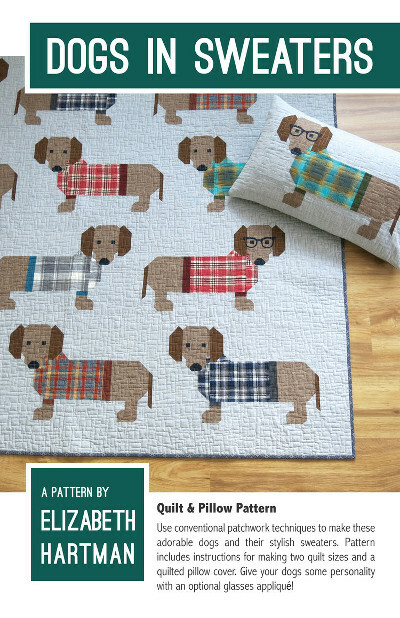 Give your dogs some personality with an optional glasses appliquÃ©!